SAINT JOHN, N.B. 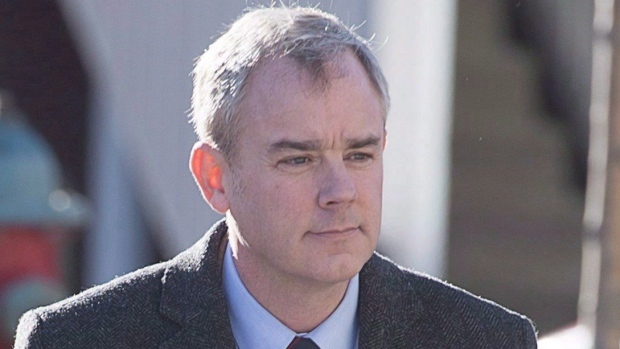 - The judge who committed Dennis Oland to trial for his father's murder said there were many unanswered questions about the case, and police were too quick to conclude that Oland was the killer. Judge Ronald LeBlanc provided a lot of commentary in his 53-page preliminary hearing decision rendered in December 2014, but it was under a publication ban until the trial was complete. LeBlanc said the Crown had failed during the preliminary hearing to establish motive, and the conclusion by police -- mere hours after Richard Oland's body was found -- that the younger Oland was the killer was unjustified as irrational. LeBlanc said there were unanswered questions about the location of Richard Oland's cell phone, the murder weapon, the noises heard by people below Oland's office, and the handling of Dennis Oland's brown jacket. But in the end, LeBlanc said he had to decide whether a properly instructed jury could conclude that Oland killed his father. In December Oland was convicted of second-degree murder and has since been sentenced to life in prison with no chance of parole for 10 years.